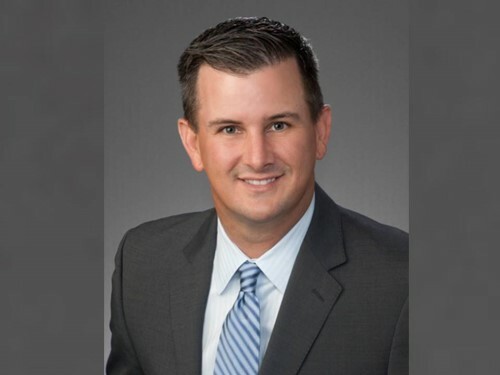 Ryan Moss’s insurance career began early - right after graduating with a business administration and management degree from The University of Texas at Arlington in 1996, he established an independent insurance agency in the Houston metro area. For the next 13 years, his agency served a niche group of businesses in the energy, marine and construction sectors while providing home and auto coverage in the Friendswood suburb of Houston. In 2010, Moss took the opportunity to merge his agency with Higginbotham Insurance. He now serves as a managing partner for the South Texas Region, providing assistance to middle-market and large commercial clients. In this interview with Insurance Business, Moss speaks on the efforts of his team to help those affected by Hurricane Harvey in 2017. He also tackles how Higginbotham is ensuring the continuous turnover of knowledge from industry veterans to young talents. I started in the insurance business in 1997 after working as a stock broker with a national firm. I always liked the insurance world and knew that it was a very stable environment in which to establish a career. IB: What do you love the most about your current organization? Higginbotham is a great firm. I love my teammates; it makes my job very rewarding to know the talent that I work with delivers an exceptional product to our customers each and every day. What differentiates Higginbotham from other firms in the same space is its culture, which is driven by our employee ownership. It puts our employees on the same side of the fence as management and gets everyone rowing in the same direction. Our employees appreciate the added value that comes with ownership. As a managing partner, I’m responsible for the operations in our south Houston office, and I lead our premium finance department companywide. I also service a block of middle/large market accounts and drive new opportunities on the M&A front. IB: What has been the biggest obstacle you had to overcome so far as an insurance professional and what did you do to conquer it? When Hurricane Harvey hit south Texas, not only did it impact our clients, it touched our employees too. Fortunately, we have a 24/7 claims department that was able to form a command center outside the damaged areas to support our clients with their losses. And, our family culture really came through by employees raising $182,200 via a Higg Helps Fund that went directly to our more than 50 teammates who suffered losses of their own. That’s on top of the $75,000 that the Higginbotham Community Fund granted to hurricane relief efforts. The most challenging issues I foresee deal with perpetuating our industry with younger talent. Many young professionals haven’t given the career of insurance any thought or aren’t educated on the opportunities within the field. At Higginbotham, we have a hands-on New Producer Mentor Program that trains young professionals to become successful producers as well as HIG U that provides continuing education. IB: If you had the power to change one thing about the insurance industry, what would you change? Transparency; the insurance world is behind the curve when it comes to data transparency. IB: What is your philosophy in life? How do you apply that in your career as an insurance professional? Treat people fairly, and do the right thing in every situation because your reputation is what carries you in this business. IB: If you were not working in the insurance space, what would you be doing now? Trying to make it as a professional golfer. I enjoy the outdoors, especially fishing and golfing.